Tubing: - Columbus XCR Stainless Steel. 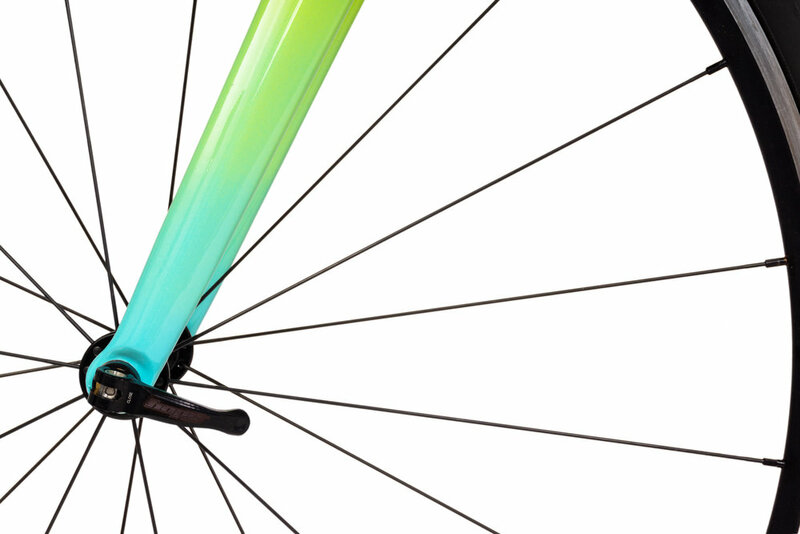 Wheelset: - Velocity A23 alloy rims with Spin road hubs. 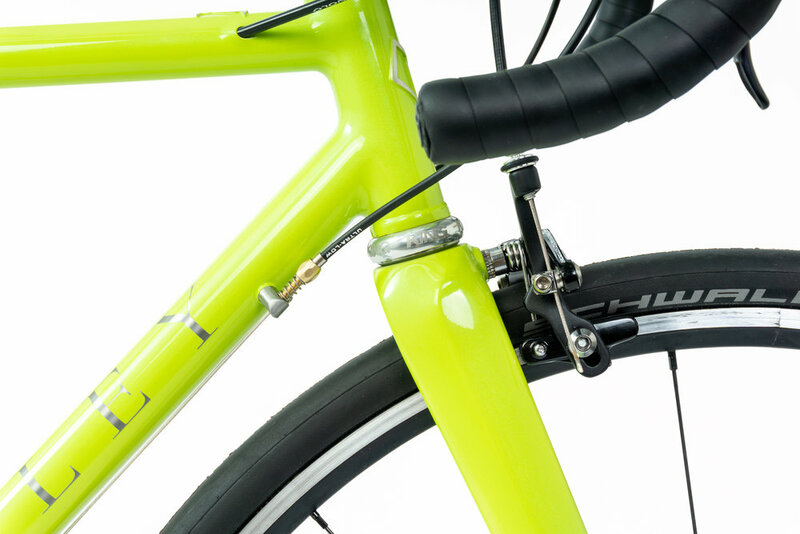 Forks: - Columbus Futura Caliper carbon fork. 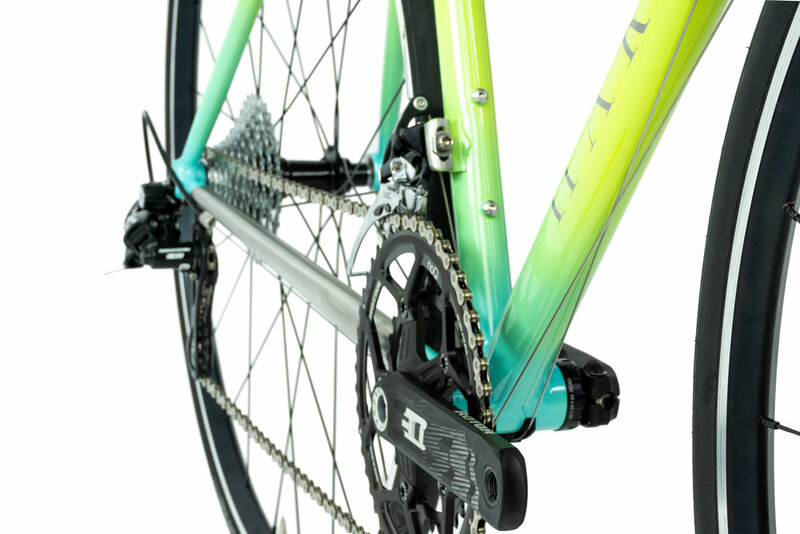 Groupset: - Campagnolo Potenza with Rotor 3D cranks. 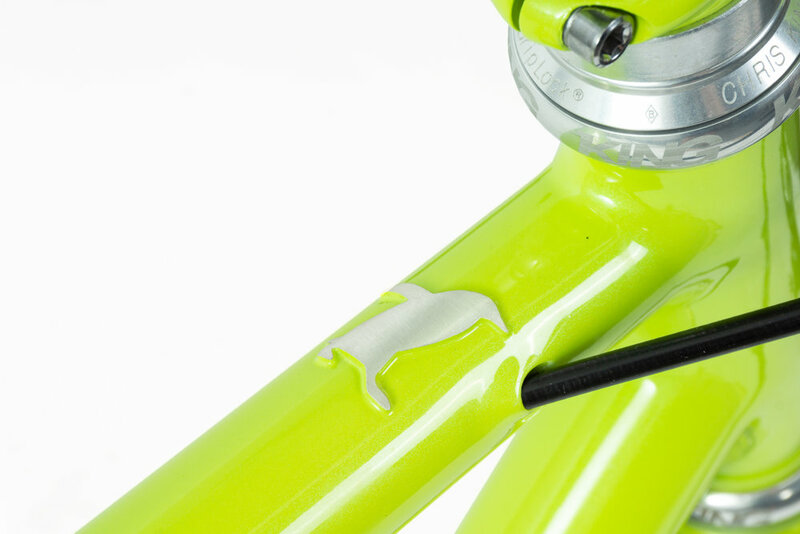 Details: - Hand cut solid silver penguin detail on top tube. Hand cut solid silver headbadge and Asymmetrical seattube lug.